If you own your own business or if you're starting your own company, have you thought about waste removal? I'm going to guess not. 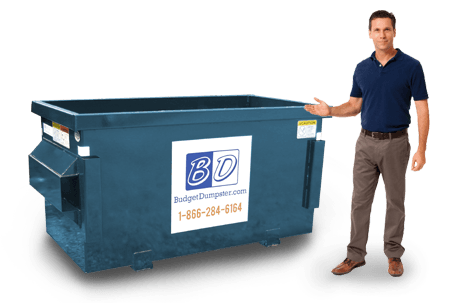 Unfortunately, waste removal doesn't come across your mind until it's too late and that's why Budget Dumpster is here to help. We offer a wide variety of commercial dumpsters in Raleigh for low monthly rates. We aren't afraid to make a commitment to our customers, which is why we offer a one year contract with all our permanent dumpsters. No matter the size of your business, having a dumpster onsite can be an efficient method of waste removal. 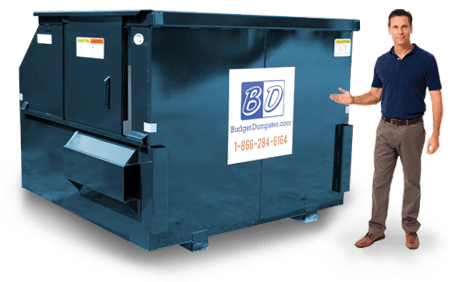 Budget Dumpster understands that not everyone knows how waste removal works and that's why we want to help. Our customer service representatives are more than willing to walk you through the entire process and help you decide which dumpster is best for you. Feel free to ask us as many questions as you want because we know this business like the back of our hand. To get started, you can either give us a call or look below for the different sizes we have available in your area. The smallest size dumpster we offer is our 2 yard waste container. 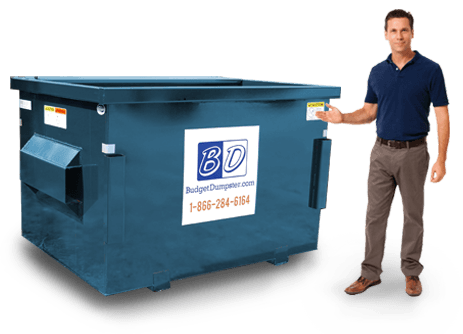 This dumpster is great for small businesses such as little restaurants or a small office building. Our 2 yarder can be placed just about anywhere on your property. This is a great dumpster if you throw out about 14 trash bags weekly. The 2 yarder is only about 3 feet high, so it is a breeze to fill with all of your trash. 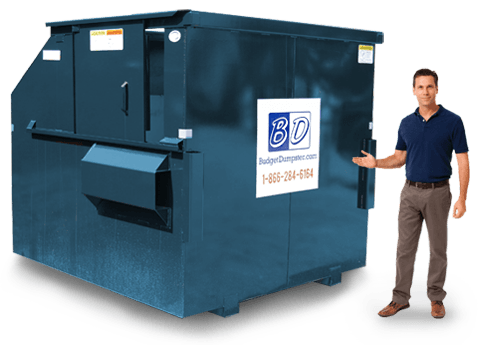 If your small business in Raleigh could use a permanent dumpster, call Budget Dumpster. Our 4 yard dumpster is the dumpster most commonly used by small retailers and medium sized restaurants. This is a great dumpster for businesses occupying a space of 5,000 square feet or less. When comparing this dumpster to our 2 yarder, you'll find it holds twice the amount of debris while still not taking up too much space in your lot. This dumpster is only about 4 and 1/2 feet high, which makes it very easy to load with trash. If you are looking for a great waste container that doesn't sacrifice capacity, the 4 yard dumpster may be the best option for you. The most popular dumpster we offer is our 6 yarder. This dumpster is perfect for apartment complexes, grocery stores and much more. These dumpsters can accommodate a whopping 1,400 pounds of waste while still being able to fit in most parking lots. Since the dumpster is about 6 feet high, you can load the dumpster easily with the sliding door on the waste container. We usually suggest this size dumpster for businesses with about 45 trash bags to throw out every week. If you think this dumpster is the best fit for your business, give us a call today. When it comes to large amounts of waste removal weekly, our 8 yard dumpster is the way to go. This is our largest commercial dumpster and can handle the occasional amount of bulky material and heavy debris. These dumpsters can usually handle about 56 trash bags full trash until it is considered to be completely full. Just like the smaller 6 yarder, the 8 yarder also comes equipped with a sliding door, allowing for easy to access. The 8 yard dumpster is usually reserved for large warehouses, expansive apartment complexes and ginormous stores. If your business is about 25,000 square feet in size, the 8 yarder is most likely your best choice for waste removal.